I just want to say thank you for your article. It gave me all the answers I was looking for. I was Baptist for over 15 years and turned to Lutheran a couple years ago and was seeking answers to this same question. When I ware my crucifix it is a reminder of the pain and suffering of how christ died for me. I don’t think most people like to be reminded of this maybe that is why they reject it. A very well written article that explained and answered some of my questions. While neither the cross nor the crucifix are to be worshipped, they can both serve as vivid reminders of our core beliefs as Christians. When I seek hope, I turn to the empty cross to remind me that Jesus is no longer dead, but risen in victory over death, and that our God is the strongest force in the universe. When I seek love, I turn to the crucifix to remind me that Jesus endured this horrible death simply because of his love for us, and that our God is the source of all love. Together, they remind me that the strongest force in the universe is also the source of all love. And that’s an answer to a prayer. Bill, the cross is more than a vivid reminder, though non Catholics would agree with your statement. 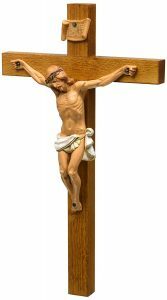 Catholics and Eastern Orthodox Christians do venerate the cross, though more generally a crucifix. There is nothing wrong with this as it is enshrined in the Second Ecumenical Council of Nicea. We are to venerate the cross most especially along with sacred ikons with a kiss, with lighted candles and with incense. The crucifix is a sign of victory not just a terrible death endured by the Lord for the salvation of the world. By the cross Christ conquered sin and death. If you are a Catholic you venerate the cross with a kiss on Good Friday during the Service. It is common for Catholics to kiss the cross at the end of the rosary or in times.of despair or trouble. If you are Easterner, Catholic or Orthodox you kiss the cross at the end of every Divine Liturgy. 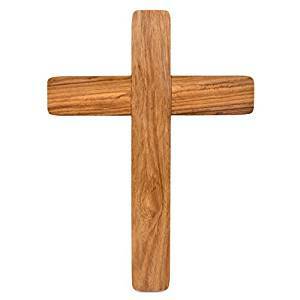 The cross is more than a “vivid reminder” of the Faith. I said nothing about veneration – only worship.